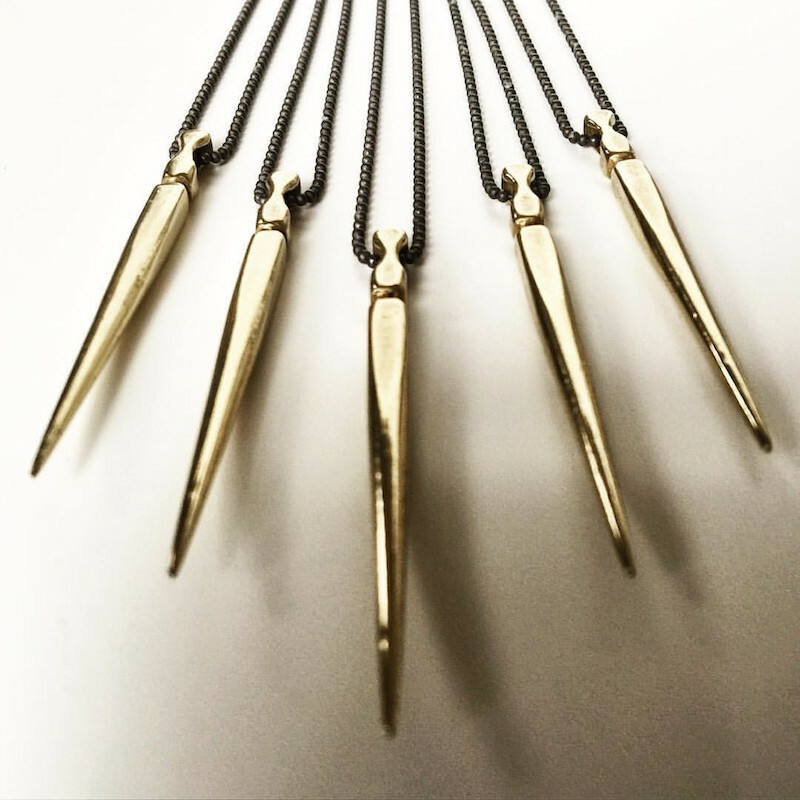 When it comes to jewelry I've tried to only invest in pieces that can transition from day to night, from a t-shirt and 501s to cocktail hour. 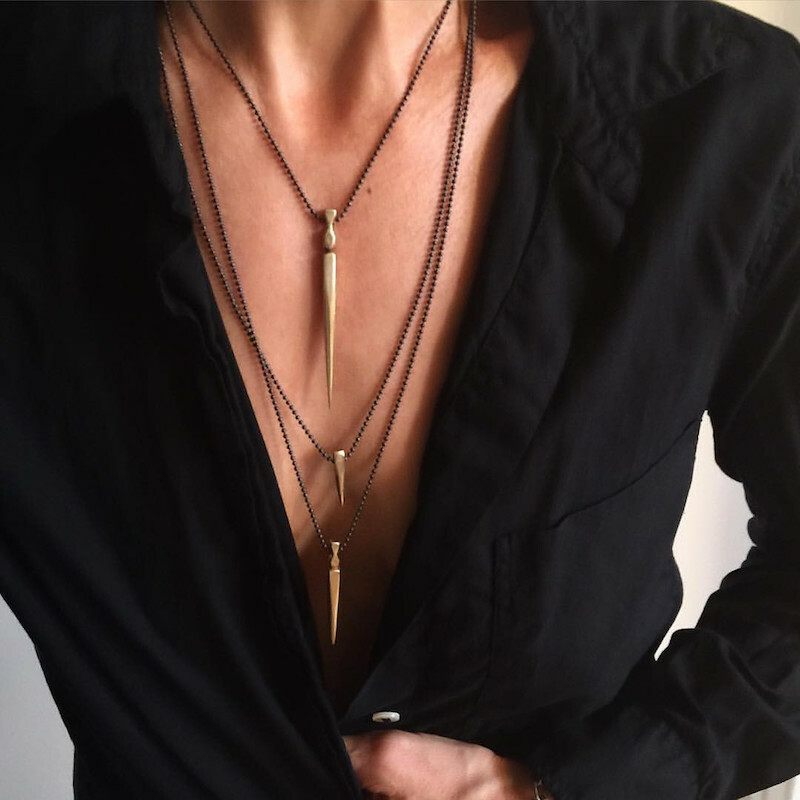 On top of that, I love when a necklace can make a statement without being costume jewelry, and that's exactly what MarLa Studio produces—pieces that are simple yet edgy, minimal, but not boring. 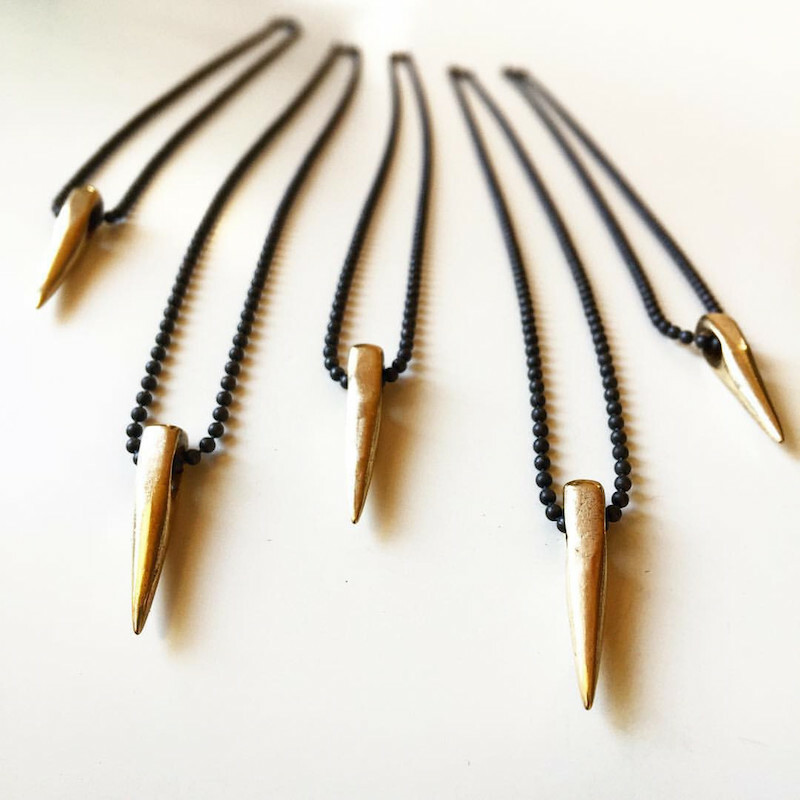 Check out the studio's collection of necklaces new to The Reed right here, we have three styles of bronze pendants on darkened sterling silver chains, prices range from $48-$88. 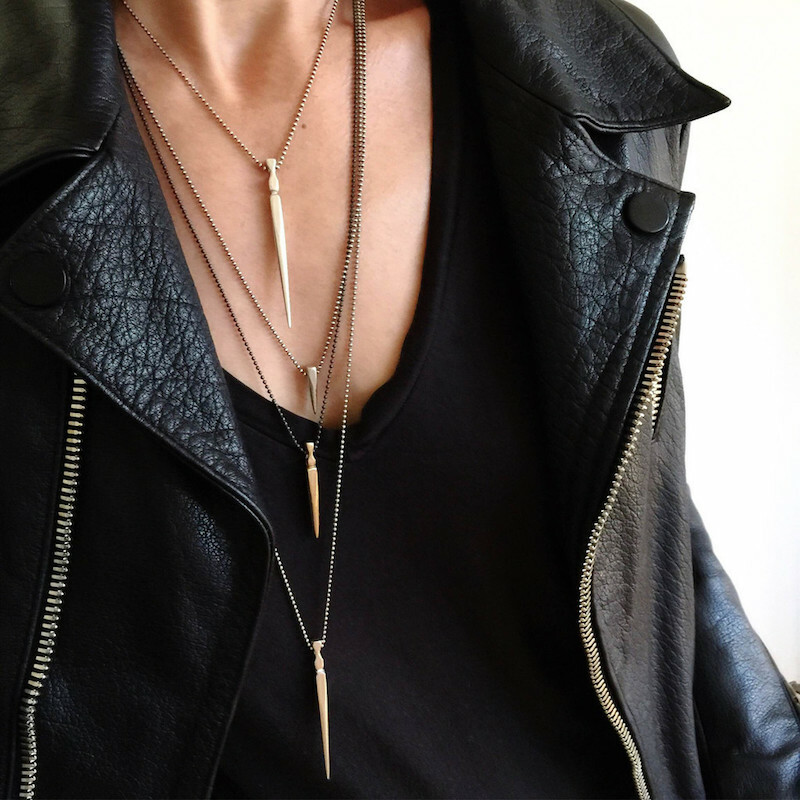 Those pendants are so sculptural and COOL! Name T-shirts My Name is Awesome (http://mynameisaweso.me) is the best place to find unique merchandise with you first name on it. Do you know anything about the leather jacket in the first picture? Looks perfect!